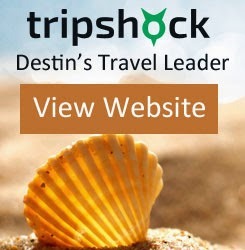 Destin, FL travel and vacation deals. We post the best deals, coupons and packages on various tours, hotels, condos, attractions, restaurants and more. Take a break from the beach at Big Kahuna's Water Park! This one-of-a-kind waterpark has been operating in Destin for over 25 years. With dozens of rides and attractions for all ages, Big Kahuna's is your top choice for a family-friendly extreme activity off the beach! For a limited time... purchase your Big Kahuna's tickets online for $4 OFF adult and $2 OFF junior tickets. Tickets may be used for any day in the 2016 season (park open seasonally, closes September 11, 2016). Purchase Your Big Kahuna's Water Park Destin Discount Tickets Online!